A week after snapping a 21-game losing streak in the Top 16, Brose Baskets Bamberg made a huge statement by stopping previously undefeated Olympiacos Piraeus 72-77 on the road at Peace and Friendship Stadium on Friday. Both teams hold 2-1 records as five teams total now share first place in Top 16 Group F. Fueled by triples from Janis Strelnieks, Bamberg finished the first half with a 2-14 run, then scored the first 8 points of the third quarter to build a 26-47 lead. The difference reached as high as 31-55 before the Reds re-charged their defense, did not allow Bamberg to score a field goal for 6 minutes and used a 16-2 run bridging the third and fourth quarters to get back in the game. 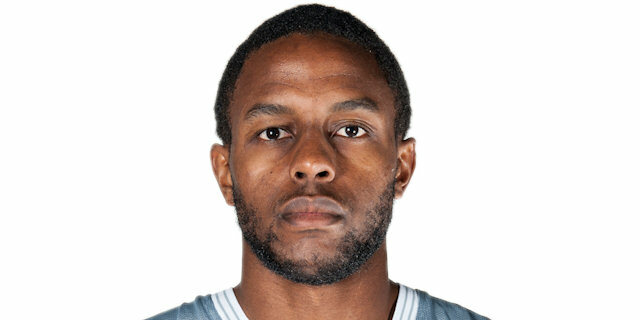 Darius Miller helped restore Bamberg's 18-point lead in the fourth quarter before Ioannis Papapetrou gave Olympiacos a final pus and Vassilis Spanoulis hit a triple that made it 72-74 affair with 12.7 seconds left. 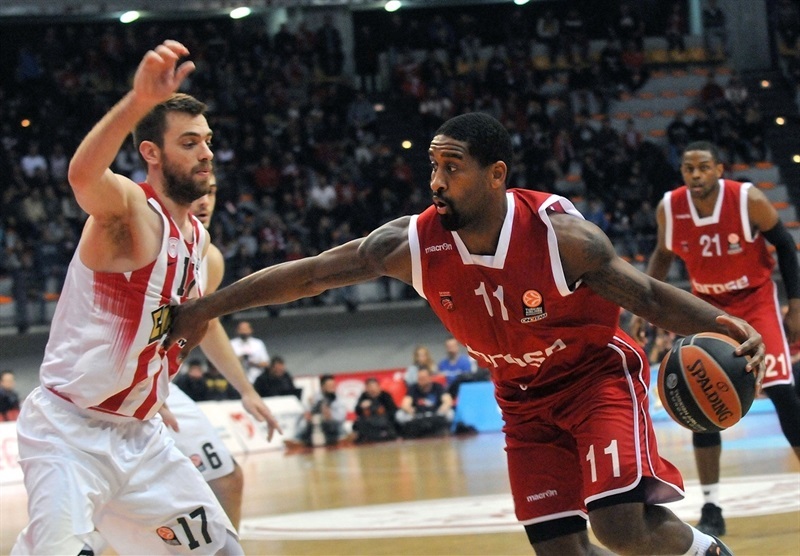 Brad Wanamaker hit 2 of 2 free throws then, and Bamberg held on to the victory. Miller netted 23 points on 4-for-6 three-point shooting to lead the winners. Strelnieks made 4 of 5 threes to finish with 15 points. Leon Radosevic scored 14, and Nicolo Melli had an all-round effort with 7 points, 13 rebounds and 6 assists for Bamberg. 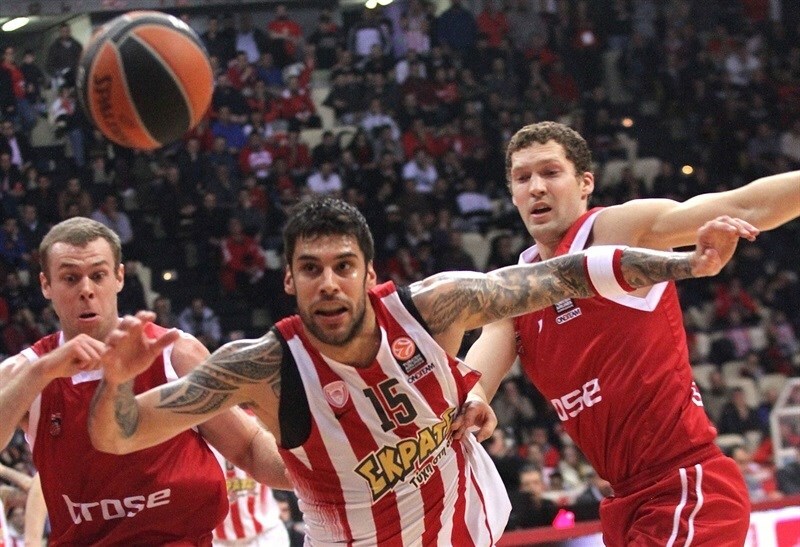 Olympiacos finished with five double-digit scorers. D.J. 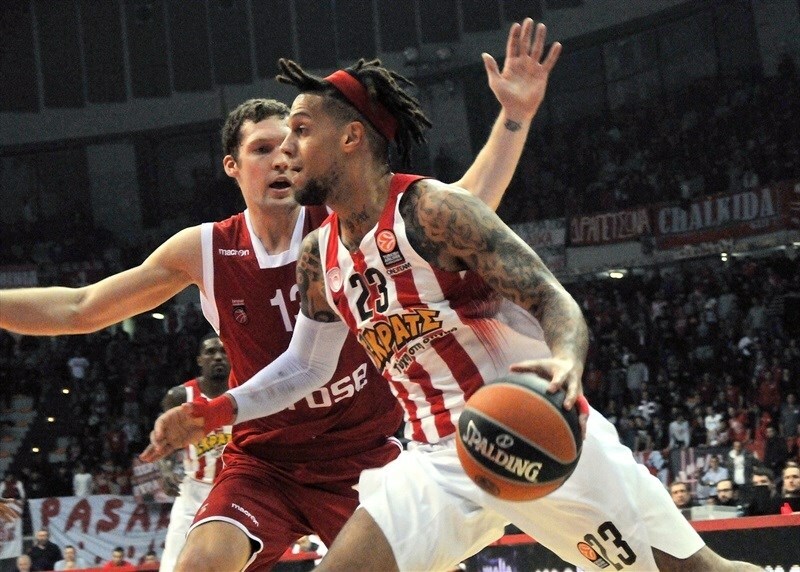 Strawberry had 15 points, Spanoulis scored 11, while Papapetrou, Georgios Printezis and Daniel Hackett had 10 apiece in defeat. Both teams needed more than 2 minutes to make the first basket as Melli scored a layup. The Reds needed another minute more to open their account, with Vangelis Mantzaris running a fastbreak and finding Georgios Printezis for an easy two. Nikos Zizis made a runner, and after Spanoulis made a reverse layup, Miller banked a shot high of the glass for basket-plus foul and 4-7. Othello Hunter scored inside, but Wanamaker bettered it from the outside before Patrick Heckmann made a floater and Strelnieks nailed his first long-range it from way downtown, opening a 7-15 lead. Hackett answered with a three-pointer, but Miller hit his own from deep for Bamberg, making it 10-18 at the end of first quarter. 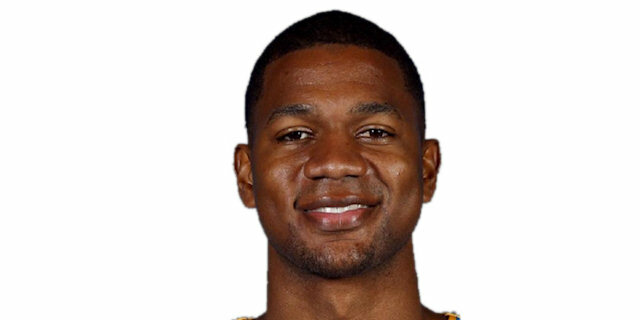 Darius Johnson-Odom and Miller traded three-pointers to open second quarter, and after D.J. Strawberry made a pair of free throws, Papapetrou raced the length of the floor for a fastbreak layup at 17-21. 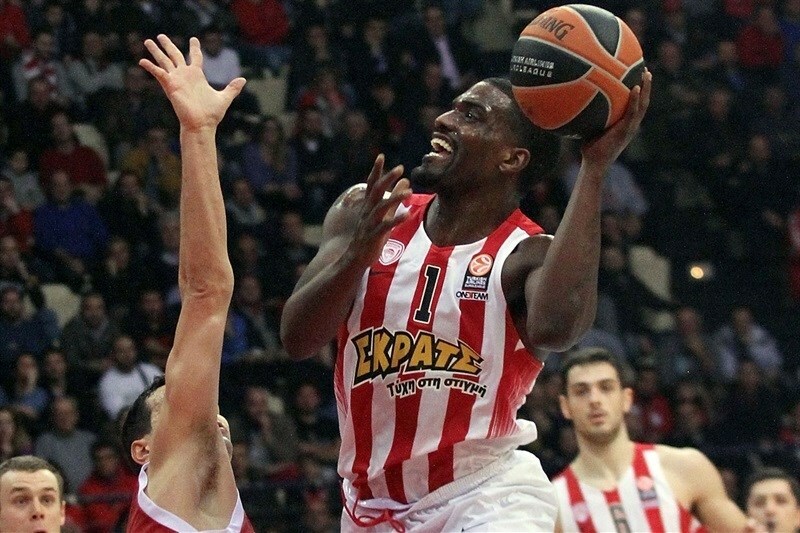 Gani Lawal's two-handed dunk cut the difference further and capped a 6-0 run for Olympiacos. Miller responded with a long jumper, but Strawberry buried a three-pointer at 24-25. Strelnieks hit his own jumper and Radosevic finished a fastbreak with a dunk, forcing an Olympiacos timeout. Strelnieks added a triple, and Wanamaker fed Radosevic for an easy layup, opening up 24-34 lead and forcing another timeout from the hosts. Yet another triple from Strelnieks opened a 13-point margin. 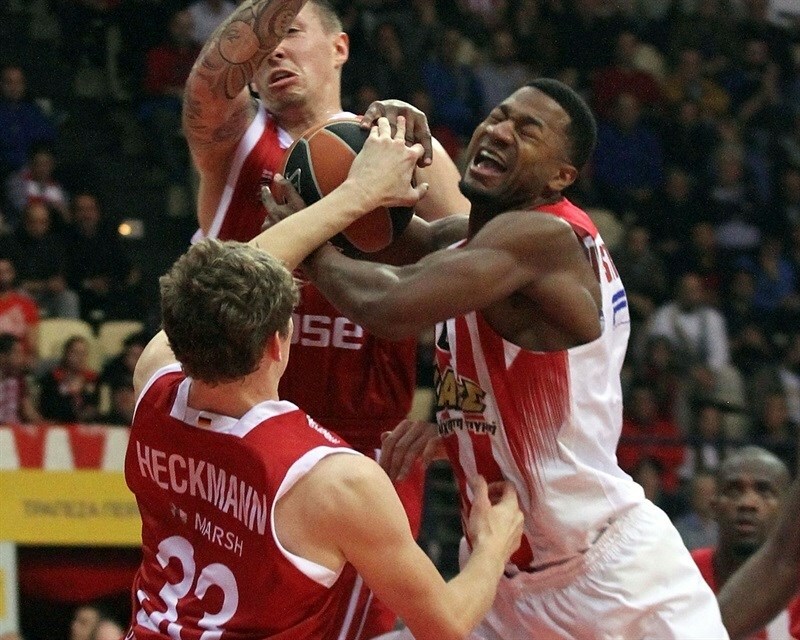 A reverse layup from Mantzaris snapped a 0-12 Bamberg run, but Radosevic's free throws made it 26-39 at halftime. Radosevic drove for a layup then made a baseline jumper to open the second-half scoring. The same player added a tip-in, then Melli made a short turnaround jumper for a 21-point margin, 26-47. After a timeout, Strawberry made a three-pointer, but Miller answered with the same coin. Hackett made free throws, but Miller scored inside and Strelnieks hit from long range to make it 31-55 and silence the home crowd. Hackett answered from deep as the Reds went all out, pressuring aggressively, on defense. Dimitrios Agravanis and Printezis hit from close range to cut the difference to 38-55. Melli snapped a 7-0 run with a pair of foul shots, but Printezis nailed a corner three-pointer that made it 42-57 and forced Bamberg coach Andrea Trinichieri to call a second timeout in a short span. Strawberry continued the run with a fastbreak layup-and-foul, and Hackett scored a layup in traffic at 47-57. Miller made a pair of free throws to stop the 9-0 run of Olympiacos and send Bamberg into the fourth quarter with 47-59 lead. Miller hit a triple to open the fourth-quarter scoring and end Bamberg's six-minute drought without a field goal. 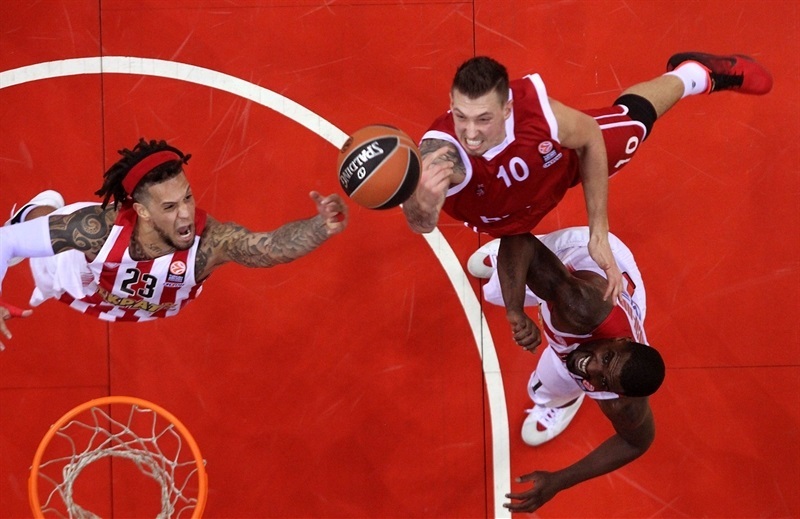 A dunk by Daniel Theis and a free throw from Strelnieks restored an 18-point margin as Olympiacos was held without a single point for more than 3 minutes. Strawberry and Spanoulis each only split free throws before Papapetrou made a three-point play midway through the quarter, cutting the deficit to 52-65. 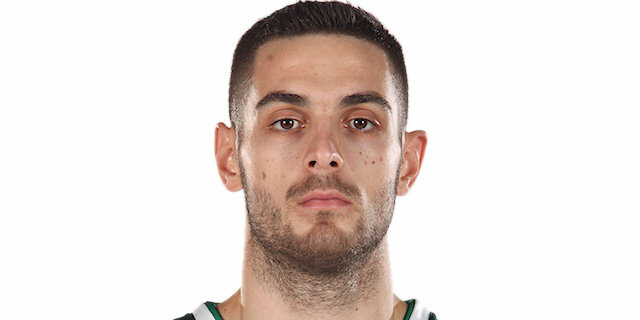 Papapetrou followed with a three-point shot, and after Zisis hit a jumper for Bamberg, Papapetrou finished another fast break with a dunk to make it 57-67. Radosevic made free throws to keep the margin in double figures, before Spanoulis and Printezis scored inside at 61-69. Wanamaker drove for a layup, but Ioanis Athinaiou answered with a huge corner triple and Strawberry made a pair of free throws at 66-71. Miller hit a key runner for Bamberg, and Strawberry made only 1 of 2 from the line as teams went into the final minute with a 67-73 scoreboard. Spanoulis banked in a runner, and after Wanamaker split free throws, Spanoulis hit a triple with 12.7 seconds to go, getting Olympiacos within 72-74. Wanamaker was immediately fouled, but this time made both foul shots. 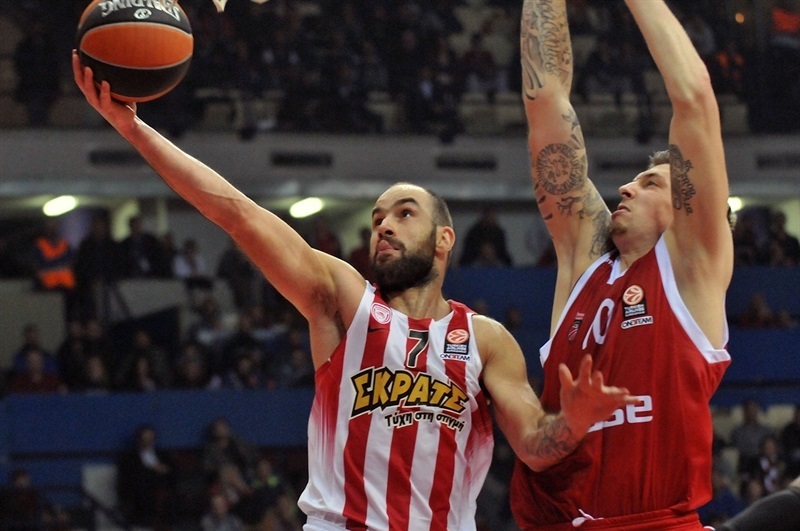 After a timeout, Spanoulis missed a tough triple, and Bamberg prevailed in Piraeus. "Today we realized how tough the group is. We knew that Bamberg was playing very good basketball and I think that we failed to control the game from the very first moment. Although we reacted and cut the margin, they kept the lead and got the victory. We lacked our energy and competitive spirit and allowed them to hurt us. They sank big shots and, as the time went by, made us very nervous. The positive thing I can keep is the big effort we made in the last 15 minuets to change the situation. We have to understand what the sport is. I mean that if you win on the road, it doesn't mean that you are a superb team, and when you lose at home it is not a disaster. However, we must recover after this loss and try to get it back." "We came here with the wounds still open after our loss in Real Madrid. Olympiacos doesn't surrender and I was sure that they would try to come back. Fortunately, we defended our lead and got a great win. I don't know if I am proud because the team had never won a game in the Top 16, and now we have two victories in a row. But I am very happy for everything we have done so far and I think we have some small hopes to make it to the playoffs. 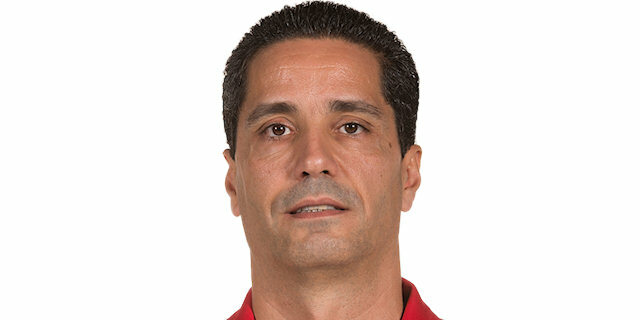 But I am wondering if somebody believes that Olympiacos will not advance to the quarterfinals. 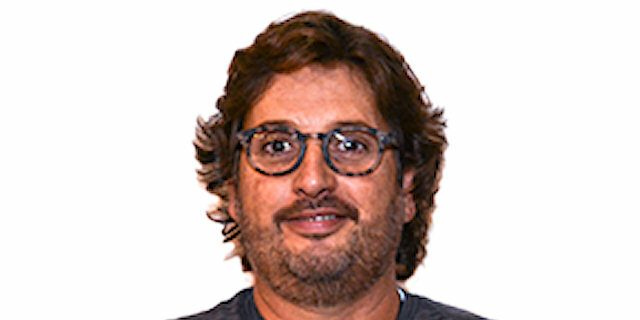 The dark side in our team is that we have so many unselfish players that sometimes, especially under pressure, somebody has to take the responsibility and shoot the ball, not only move it." "Congratulations to Bamberg because they played an excellent game and got a big win. They took a big lead, but we tried hard, especially on defense, to catch them. It didn't work and we lost to a good team that fought hard and deserved to win. It is our responsibility and we accept it, but the road is too long and I have no doubt that we can recover." "We had a very bad start and this is the main reason for the defeat. Bamberg played great and took a big lead, which we cut, but when you are losing by 24 points, it is not easy to come back and win. We improved our game both on defense and offense in the last 15 minutes, but it was not enough. Now we have to work hard and try to recover from this loss." "It is a great win against a big opponent who has quality and experience. It is always tough to beat Olympiacos, but we did it. We stayed focused for the whole game and resisted when they started to hit the big shots and come very close. We knew that they could fight and come back, but finally it was our day. I am very happy and proud for my team, because in the past Bamberg has never won in the Top 16, and now we are 2-1. It is too early to make conclusions, since there are so many big teams in our group. We are going game by game and see what is going to happen in the end." "We played great basketball for three quarters and did what we are used to. Bamberg is a team that has unselfish players who give their best in every game. We have studied our opponents and performed excellent defense. Olympiacos came back and although most of my teammates have no experience on how they deal with such a situation, we did some smart things in the crucial moments and escaped with a big win. Now we are 2-1, but the only thing we can have in our mind is the next game; nothing less, nothing more."